BRUSSELS, Belgium — Heynen, a professional supplier of media processing applications, has announced a multi-year agreement with RTBF (Radio télévision belge de la communauté française) for the supply and integration of Studer audio mixing consoles for the radio studios of Brussels, Liege and Charleroi. This agreement confirms the leading role of Heynen which has represented Studer for almost 50 years, in supplying multiple Studer consoles to the Benelux broadcasters, in this case for coverage in the French-speaking part of Belgium. Once the project is completed, all RTBF studios will be equipped with Studer mixing consoles. 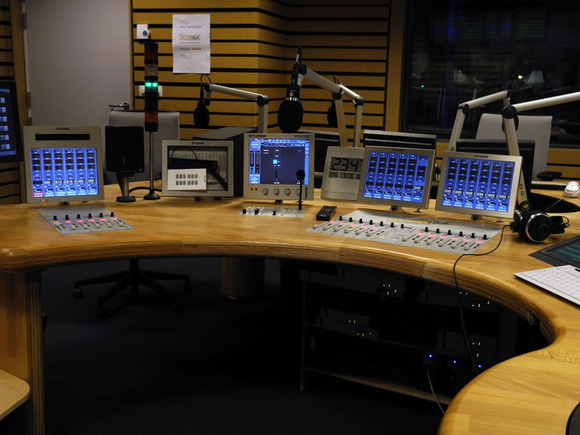 The Belgian broadcasting organization RTBF Radio has made use of Studer mixing platforms for more than two decades, and took the step from analog to digital in 2006 when the studios in Mons and Namur were in need of renovation. Central to the decision was the continuity with the brand, offering consistent workflow, and past experience and training in Mons and Namur, “This means that a producer or engineer from Liège can easily take over a program in Brussels or Mons,” Neybusch noted. Another important consideration in favoring the Studer platform was the local support that Heynen provides. “Audio consoles have evolved into complex systems with hardware and software elements and since Studer audio mixing consoles are also modular, no two systems are identical. This requires specialist support from an organization with expertise that can provide incremental software updates and implement full backup procedures,” states Heynen managing director, Jos Jorissen. Serge Neybusch concludes: "We have had long experience with Studer audio mixers and have shared our experiences with Heynen over a long period. We are particularly pleased with the flexibility and technical support they offer."